For the last post from my summer series with Hawaiian Tropic, I will talk about dresses! 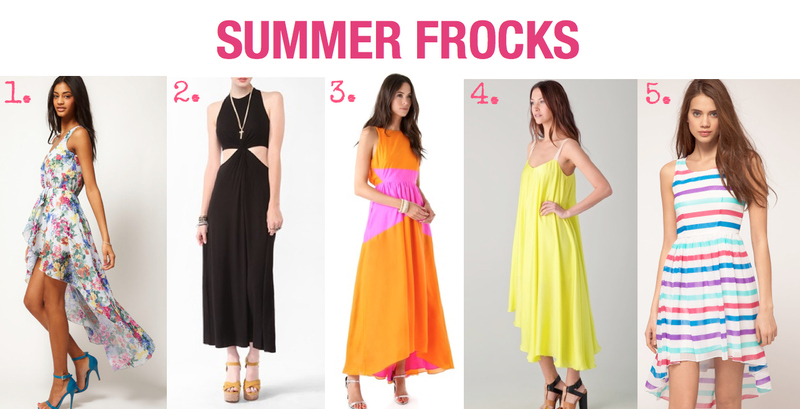 My favorite part about summer is shopping for fun, colorful and flirty frocks. (Always save the best for last.) I loved dresses because it allows your body to still feel cool under the heat, and if you find silhouettes that flatter your body at the same time, you’d look good baring some more skin. My favorite trends in dresses that I keep an eye out for are high-low hem cuts, cutouts, colorblocking and bright florals. It’s important to me to have a little something more going on in a dress. One piece clothing can look flat and monotoned without these details and added texture. Don’t forget to check out the Hawaiian Tropic: Things We Love hub for more ideas!